Drive to buy homes, businesses close to Tel Aviv really a 'racist' and 'extremist' plan to deliberately drive out Arabs, local leaders say. Arab leaders in Yafo claim a gentrification of the city is a "dangerous" attempt to deliberately drive out Israeli Arabs. Mohammed Abu Najm, former head of the Islamic Movement in Yafo, said in an interview with Hamas's Palestine magazine last week that Israeli Jews are driving Arabs away under the guise of buying cheaper property there next to Tel Aviv. And Ahmed Abu Ajwa, the imam of the Hassan Bach mosque in the city, says a takeover of the mosque is a permanent goal of "extremists" and that "racist" attacks are reported on a monthly basis. 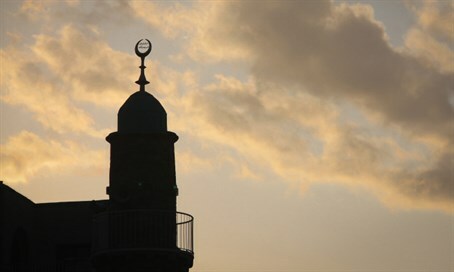 Attacks allegedly include "indecent acts outside the mosque," desecration of mosque Korans, vandals littering the mosque with empty wine bottles, and alleged threats to kill Muslim teenagers in the mosque.